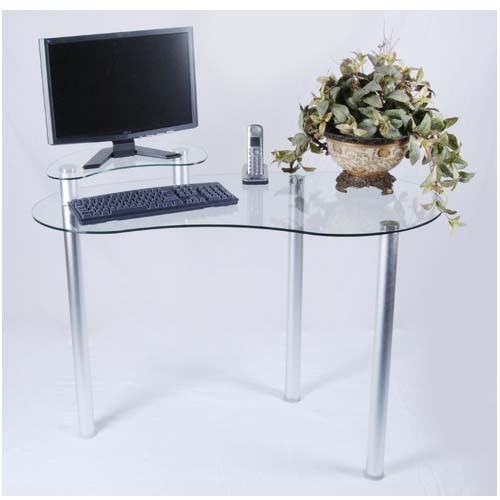 More on the Tier One Clear Glass Corner Computer Desk with Monitor Stand (Silver) T1D-122 below. This modern looking corner computer desk has everything you need. It's great for any home or office. With it's great design you can put it anywhere to save space. 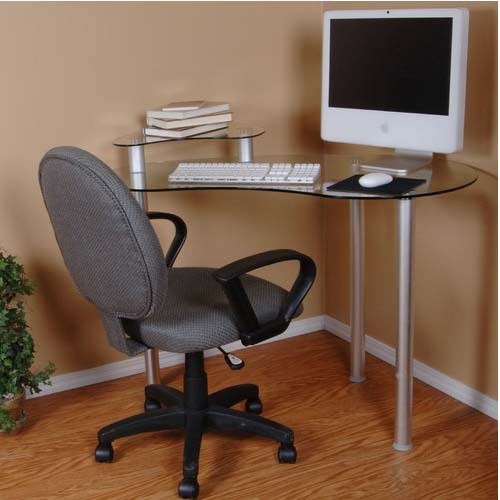 The whole desk only needs 49 inches of wall space and gives you a large work area for your computer or laptop. The monitor stand allows you to save space on the main desk. Be creative and use the monitor stand anyway you please. Simple and classy. 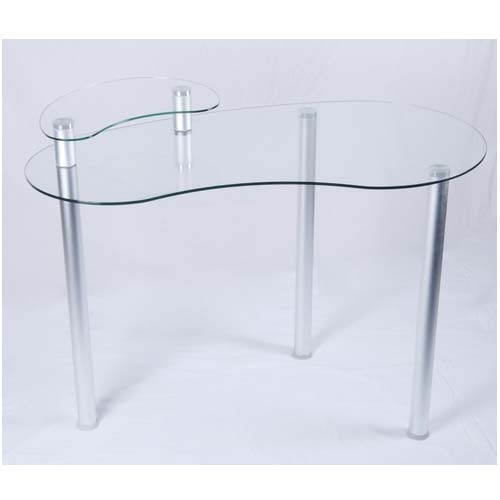 A simple and sturdy, polished-aluminum frame with silver powdercoat finish. A cut-away design for easy corner placement.